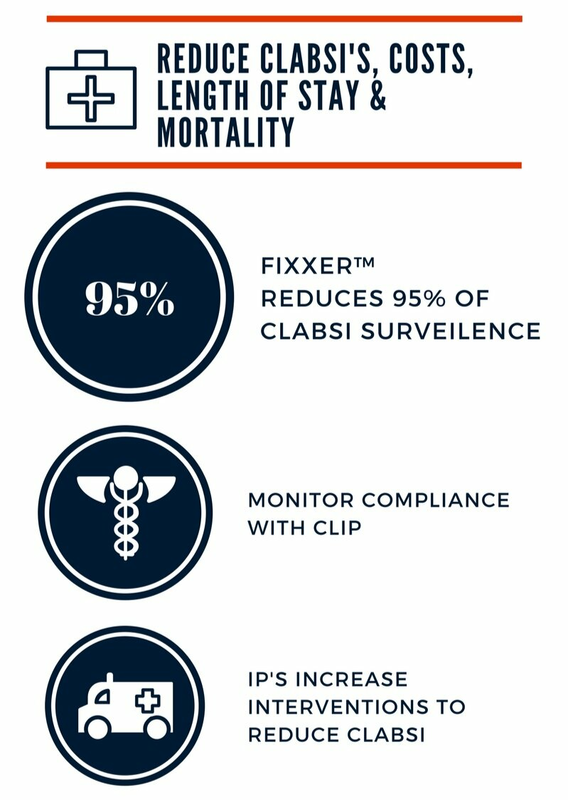 Outcome |Shepard Health’s FIXXER™ a real-time surveillance software reduces the burden of CLABSI surveillance by 95%. 1. Stone, Patricia W., et al. "Staffing and structure of infection prevention and control programs." American journal of infection control 37.5 (2009): 351-357. 2. Bloodstream Infection Event (Central Line-Associated Bloodstream Infection and Non-central line-associated Bloodstream Infection." CDC NHSN. Center for Disease Control, n.d. Wed 15 Dec. 2015.